A fast-paced, mech-style, first-person shooter dogfight. 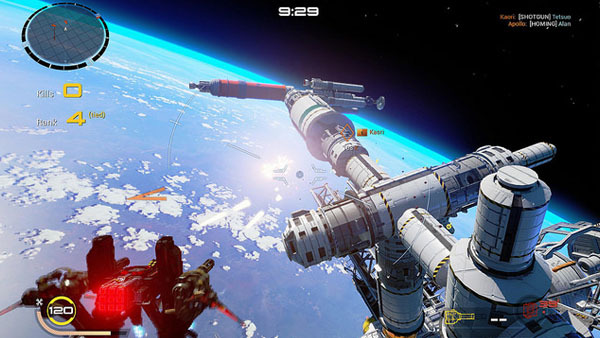 Strike Vector EX will launch for PlayStation 4 on August 30, developer Ragequit Corporation announced. An Xbox One version is also in development, but has yet to be dated. The console version of the fast-paced, mech-style, first-person shooter dogfight game is rebuilt from the ground up. It runs on Unreal Engine 4, targeting 1080p at 60 frames per second, and features a full single-player mode with cutscenes, including 15 missions; mini-games and side-missions such as survival, attack, destroy, and duel; an offline multiplayer Skirmish mode; 12-player online multiplayer, including 15 maps; and the option to fully customize the look of your Vector and weapons. Watch a new trailer below.